We’ve been using more Race Face Cinch cranks on our bikes lately. At first we were having trouble getting them to work properly. Here is what we have figured out to make these a great choice for all Lenz Sport mountain bikes, especially our Plus bikes and Short Chainstay bikes. 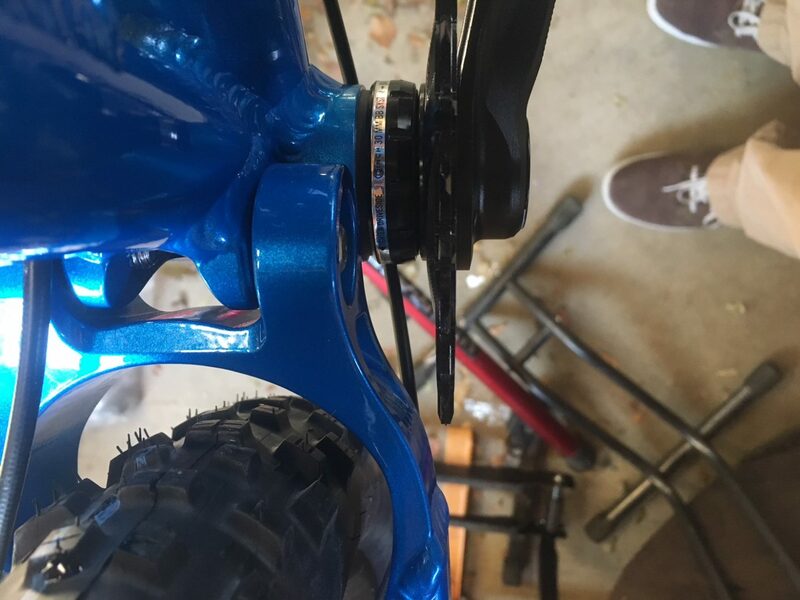 Remove the sleeve from the bottom bracket. This part is virtually useless anyway, and it seems to get warped and cause extra drag. Not sure why. Flip the direct mount chainring so that it’s offset outboard, which is the spec for boost spacing. That’s what’s cool about these chainrings, is that they are made to be reversed. Install crank per instructions and you are good to go. Lenz Sport Bikes specializes in handmade mountain bikes and ski bikes. All of our bikes are 100% handmade in Colorado, USA. Moore Fun is being changed for the worse!